The Women Directors Leadership Summit is an incisive programme that aims at moving the focus from why women should be on boards and C-Suite positions to how they should perform for board excellence and leadership effectiveness. 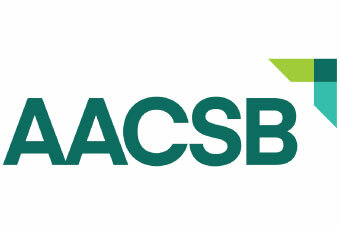 Several key research reports have cited the impact of competent solid women at board level: Catalyst, a research group focused on women’s advancement to senior leadership, found that Fortune 500 companies with more women directors, on average, outperformed those with fewer women board members on a broad range of financial indicators. In addition, Catalyst has found a strong correlation between the number of women on boards and in the C-Suite and ROI (Return on Investment) and ROE (Return on Equity) of company returns. The Credit Suisse Research Institute recently reported that net income growth over the past six years averaged 14% for companies with women directors compared to 10% for those with no female board members. Global Research findings show that there are several key consequences of gender-based heterogeneity for boardroom work, board governance, and group dynamics. WDLS is for women serving on board and or C-Suite position. 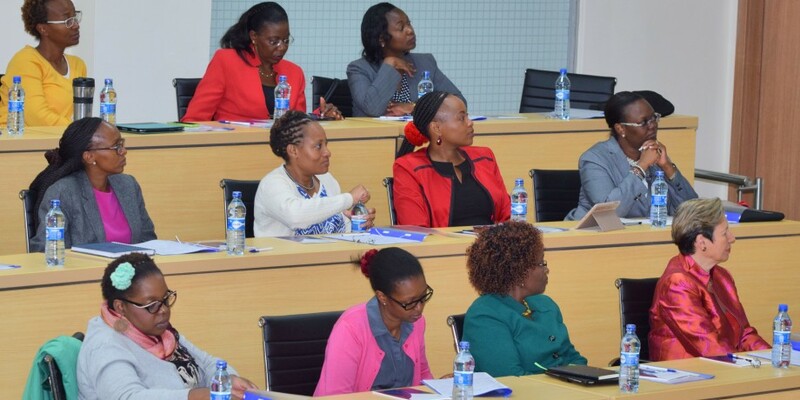 This programme for top level women will equip them with the solid skills and safe network to enable their ability to overcome key impediments in their professional spheres. It is designed to enhance gender intelligence despite the ever changing scenarios that plague organisations of this century. From ethical dimensions to the demographic dimensions of intellectual capital, from harnessing Emotional Quotient to its impact on Social Quotient and Cultural Quotient, women directors can perform exponentially better with the right knowledge, skills, impactful network all framed around clear knowledge of their purpose and impact in society. If this is what you aim for as a woman leader, then this is the programme for you. The WDLS is a modular programme that will be hosted in 3 different locations to enable immersion learning for each of the carefully selected participants and designed to provide ample time to implement critical leadership skills within and beyond their circle of influence. 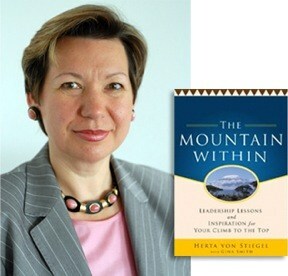 The Mountain Within: Leadership Lessons and Inspiration for your climb to the Top written by Dr. Herta von Stiegel. For more information on the programme write to Nancy eeopenprograms@strathmore.edu or nndirangu@strathmore.edu or call her on+254 (0) 703 034 513/ +254 (0) 703 510451.